Our boat is also called Summer Snow. It is 38 feet long. It can day sail with 25 people and sleeps six. 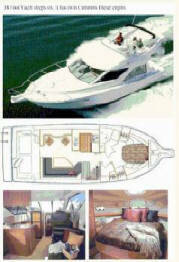 It has twin diesel engines and can cruse at 22 knots. We can Whale-watch a few kilometers from Summer Snow just off Bird Island. 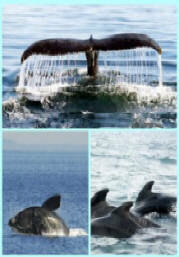 Enjoy the beauty of the coastline and the mountains while watching the whales and seals play. Puffins and Cormorants on the rocky shore of Bird Island.